As has been well documented, Samsung has recently announced 13,401 different versions of the Galaxy S4 smartphone. The Galaxy S4 Bubble can float on water, the S4 Smeg can refrigerate milk, and the Galaxy S4 Universe has three bedrooms and a heated swimming pool. Some are invisible and many are just figments of my imagination. But the first full-blown sample to actually hit our review benches is the Galaxy S4 Mini and we're pleasantly surprised to report that it's pretty good. In the Galaxy S4 Mini, Samsung has created a mid-range handset, putting itself right against the 4G-toting Sony Xperia SP and Nokia Lumia 820. We were a little worried that the Korean's new device would suffer from a bit of an identity crisis, given that the Samsung Galaxy S3 is still selling very well. 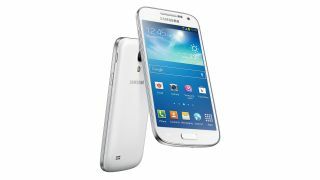 But the Samsung Galaxy S4 Mini still manages to stand out on its own, albeit in a market now crowded with Samsung Galaxy S4 variants. In the 70D, Canon has produced what looks to be a very well rounded camera for enthusiast photographers. It has all the specifications that we expect along with a few modern niceties in a body that feels well made and comfortable in the hand. It looks like it could be serious competition for the Nikon D7100. We're really looking forward to testing it for our full review in the near future. Once again BlackBerry has created a functional handset that offers up everything you'd expect from a smartphone. But the BlackBerry Q5 isn't overly desirable, doesn't sport the specs to make it stand out in its price bracket and ultimately we fear the younger generation it's aimed at isn't going to be overly receptive. With a current street price of around £150 / US$170 / AU$215, the Nikon Coolpix S6500 is good value for money for those photographers who understand the advantages of a compact camera over a smartphone camera. The Wi-Fi functionality and 12x optical zoom lens make it an ideal companion to take with you on your travels. However, more advanced photographers may be a little frustrated by the lack of manual exposure control. The Dell Latitude 10 is an Intel Atom powered tablet that's designed as a robust device that can be used both with a keyboard and mouse (there's a USB port on the side) or as a standard slate tablet. It runs full-blown Windows 8, unlike Microsoft's Surface RT, which runs the cut-down Windows RT that can't run full desktop apps. The Latitude 10, however, is completely happy with most desktop apps, but it's hardly a powerhouse, with a dual-core 1.8GHz Atom under the hood. Two-in-one devices that combine laptop and tablet functionality with proper PC performance are almost definitely the future. We certainly like the idea of a single device that does all of that well. But has technology caught up with the concept? That's the tough question the Gigabyte U2412 must answer. The Dell Latitude 6430u is an impressive entry into Dell's business lineup. It proves that within the boundaries of the Ultrabook classification, there is the option to include extra connectivity and a removable battery, which are both features that are useful in a business setting.